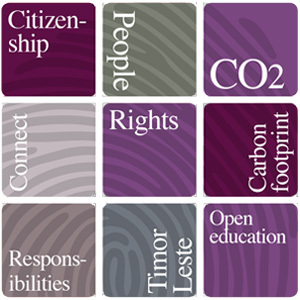 WithOnePlanet’s Citizenship Module develops students’ understanding of Australian citizenship and explores our rights and responsibilities as citizens of the Asia-Pacific region. Students will gain knowledge and awareness of the power of active citizens during one of the most remarkable events in recent Australian history – the independence of movement in East Timor. How do our rights and responsibilities relate to each other and the environment? What are global citizens and what role do they have? What is the bond between Australia and Timor Leste that generates the interest of active citizens? What can you do to become a global citizen?